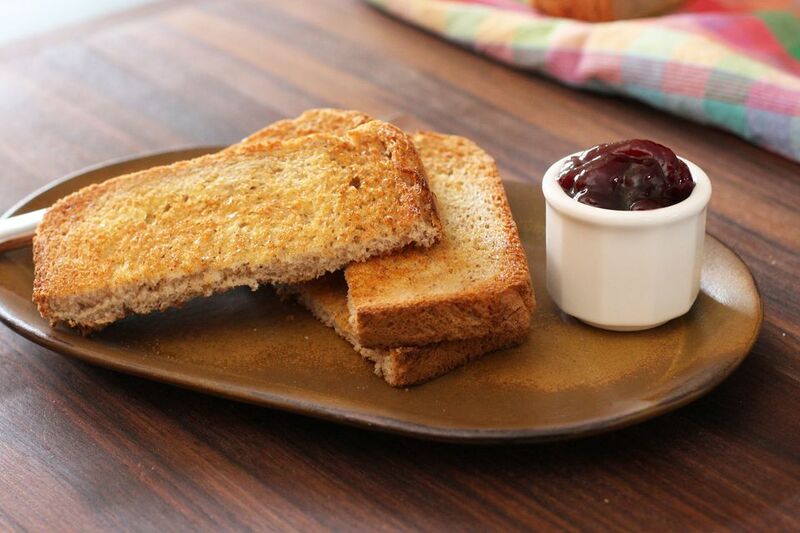 This whole wheat cornmeal bread may be prepared in the bread machine or by hand. This is a fabulous yeast bread for toasting, and it makes delicious sandwiches, too. The cornmeal and whole wheat flour add just enough texture to the bread, and a small amount of brown sugar sweetens it perfectly. Add ingredients to the bread machine in the order recommended by your bread machine manufacturer. Bake on basic cycle, medium crust. In a large mixing bowl, combine the yeast and brown sugar in warmed (about 105 F) water and let stand for 10 minutes. Whisk in the egg and softened butter, and then add the salt, cornmeal, whole wheat flour, and bread flour; mix with hands or dough hook. Turn the dough out onto a floured surface and knead until smooth and elastic, about 8 to 10 minutes. Alternatively, knead with a stand mixer and dough hook. Grease a large bowl with butter or oil. Put the dough into the bowl and turn so all sides are greased. Cover the bowl with a kitchen towel or plastic wrap and let it rise in a warm, draft-free place for about 1 hour, or until doubled. Punch the dough down and shape into a loaf. Turn the dough into a buttered 9-by-5-by-3-inch loaf pan. Cover with a kitchen towel and let it rise in a warm, draft-ree place for about 45 minutes, or until doubled. Position the oven rack in the middle of the oven. Bake the bread for about 30 to 40 minutes, or until golden brown.